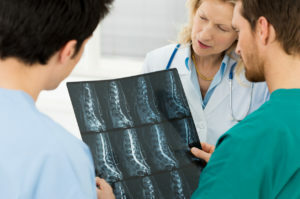 Spinal cord injuries can be devastating. 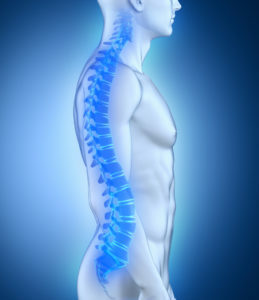 You undergo a long and arduous journey of extensive medical care and rehabilitation. What makes spinal cord injuries so devastating is that as long and arduous the journey of care and rehabilitation might be, there is unlikely to be a bright light prospect of full recovery at the end of the long tunnel. Physical pain can be masked with medication. Functional limitations can be overcome with mobility devices and inventive ways of doing things differently. We are fortunate to have a medical system that will work to achieve as positive an outcome as possible. One of the most important care services for any life altering injury is psychological. The loss of a parent or child, dissolution of a marriage, or loss of a job don’t hold a candle to the magnitude of losses arising from a life altering injury. The loss of physical wellbeing, loss of mobility, loss of pain free living, loss of enjoyment of activities previously enjoyed, are tremendously difficult losses to bear. Further, those losses often lead to collateral losses such as loss of career and a negative impact on (or loss of) social and intimate/marriage relationships. It is well established that the higher your mood, the better your recovery outcome is likely to be. It is important that the process of dealing psychologically with a devastating injury begins early, with supportive counseling, and that psychological health be monitored. Mood altering medication may be necessary, hopefully temporarily. It is common for ICBC and other insurance companies to use an injured victim’s depression against them when defending a claim for fair financial compensation. A common defence tactic is to use psychological care as a “magic pill”, i.e. arguing that more effective medication and a series of psychological sessions will eliminate depression and thereby bring about a better physical recovery. Absolutely everything possible must be done to maximize your recovery, including accessing psychological care, not only for your wellbeing but also to guard against such defence tactics. The financial impact of a devastating injury can be overwhelming. We typically strike a delicate balance between our income and expenses, perhaps with something left over for retirement savings. This delicate balance gets thrown completely out of the window. Your employment income is abruptly interrupted, and your expenses are abruptly increased. Financial stress is hard enough to handle at the best of times. Add it to a devastating injury and the weight of that stress is even more difficult to bear. Sometimes ICBC will pay you, as an advance on your claim, your actual income losses, net of taxes and other statutory deductions. They will do so only if they think they can build your trust and keep you away from a personal injury lawyer. This is where it is important to understand the two very different roles that ICBC plays in your claim. Your rehabilitation benefits, administered through the typically caring and wonderful ICBC Rehabilitation Coordinator, are provided through YOUR insurance policy with ICBC and ICBC must treat you fairly when dealing with that element of your claim. The bulk of your claim is pursued (technically) against the offending driver who caused the crash, and ICBC is involved as THAT DRIVER’s insurance company, not yours. When dealing with the bulk of your claim, ICBC owes you no duty of fairness; in fact, their duty is to the other driver, and to their shareholders. Any “generosity” they show to you beyond the bare minimum of rehabilitation benefits and Total Temporary Disability benefits (maximum of $300.00 per week) is carefully calculated to keep you from getting legal advice and assistance that is important to maximize the prospect of achieving full and fair compensation for all your past and future losses. We will work with you to identify and access whatever disability benefits might be available to you. If ICBC is being “generous”, and your financial survival depends on that generosity, we might recommend that you retain us on a strictly confidential basis until ICBC’s “generosity” ends or our direct involvement becomes necessary. We will also work with you to identify and access financing that you may require to financially survive until the conclusion of your claim. Hergott Law will work closely with the top medical professionals to ensure you receive the best possible treatment and rehabilitation. Our ultimate goal is to ensure that you achieve a quality of life that as closely as possible resembles the life you would have experienced had the crash not occurred. Once you have maximized your recovery, we will retain specialists to assess, measure and quantify your future care expenses. We will also retain vocational expertise to assess your loss of income earning capacity, and economical expertise to calculate that future loss.